I worked at Mickey D's for a while when I was a teenager. It was my first job apart from working for my dad at the paint store. I was vegetarian as I am now, and I was a manager -- that's right, a teenage manager -- at the world's largest fast-food corporation. 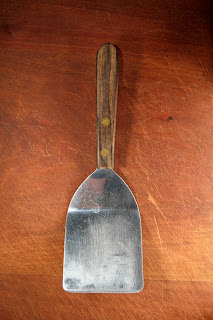 I still have the spatula I received upon my graduation from their esteemed and highly-competitive Hamburger University. Anyway, any vegetarians or vegans that came through on my shift got the royal treatment for sure: a veggie big mac with tons of toppings and cheese and a bag of fries; at breakfast, I'd make our biscuit and sausage gravy special for them without the sausage added into it. I just wanted them to know that someone out there had their back. In honor of my time in the service, I made this wonderful gravy that has all the flavor of a sausage gravy with none of the sausage. 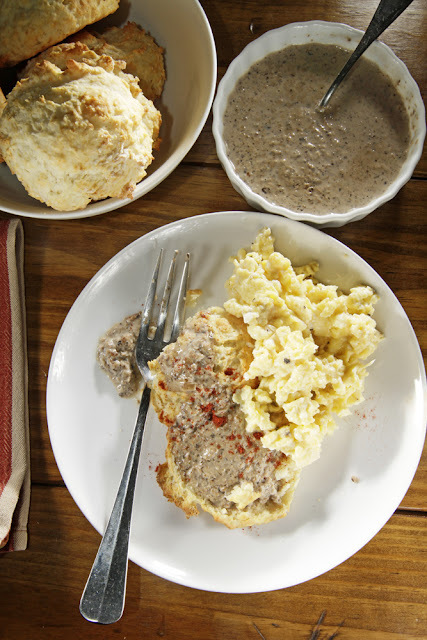 I use meaty crimini mushrooms and the seasoning you'd normally find in a flavorful breakfast sausage to make this Southern breakfast staple. It's so good you'll be looking for other things to gravy. Slice mushrooms about 1/4-inch thick. ; you will blend them later so no need to be overly precise. In a medium frying pan over hight heat, sauté the mushrooms until browned. Add the shallot to the pan and continue to cook for another minute until the rawness has cooked out of the shallot and it's translucent. Add the mushrooms and shallot to the work bowl of your food processor along with the sage, red pepper flakes, clove, soy sauce, and maple syrup. In the same pan over medium heat, melt the butter and add the flour. Whisk mixture until fragrant (about five minutes.) Whisk in the whole milk and heat mixture until slightly thick. Add milk mixture to the food processor that contains the mushroom mixture. Pulse until mushrooms are finely chopped and well incorporated into the milk, but leave some chunkiness for a nice texture. Return the whole thing to the pan and keep warm until ready to serve. If gets too thick, add some milk or stock to thin it out. Preheat your oven to 425 degrees. Mix dry ingredients in a large bowl. Cut in the shortening using your fingers until pieces are no larger than a pea. Make a well in the center of the flour mixture. Add the milk. 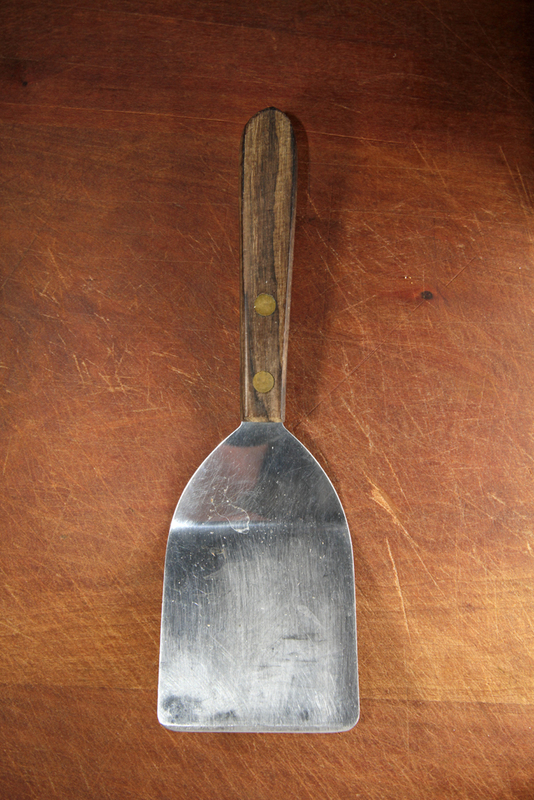 Using a rubber spatula, fold the milk into the dry ingredients -- but use as few strokes as possible. The less you stir the dough, the more tender your biscuits will be. To serve, just split a biscuit and douse it with gravy. Garnish with a pinch of smoked paprika. It's perfect along with soft scrambled eggs. 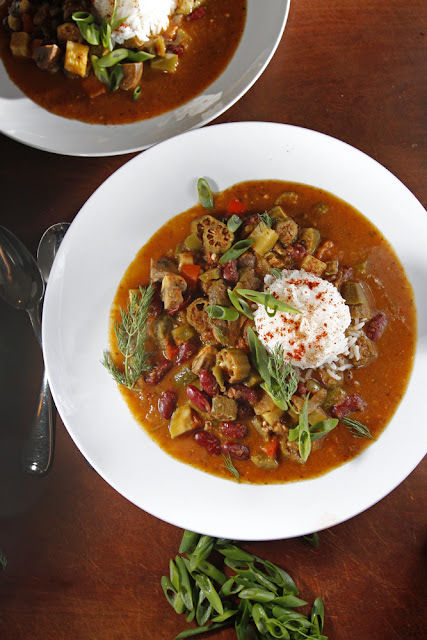 Many times, vegetarian gumbo is just the same old meaty gumbo with the meat left out of the mix. The problem with that approach is that much of the flavor -- like the smoke, salt, and savoriness -- is derived from those meat sources. Here I've used a method traditionally used in Indian cookery to make rich curries and also infused some of those flavors back in using things like soy sauce and liquid smoke. The general idea is to make a paste from garlic, onions, vegetables and spices that will flavor the whole dish so that everything else that goes into the pot will be, you know, delicious. Though you'd normally serve gumbo in a bowl, I photographed The Chubby Vegetarian Gumbo on a plate to show off the beautiful broth that is created by the mixture of the roux and the Indian-style vegetable and spice paste. I'm quite taken by it. My dad swung by last night to give this one a taste. You see, he's kind of a gumbo fanatic, and he makes a pretty mean vegetarian gumbo himself, so his opinion about this dish is important to me. "I think you have a winner here, son!" That's all I needed to hear. To make the roux, place the canola oil and the flour into a medium-sized dutch oven. (This is the pot in which you will eventually make the gumbo, so using it now saves on dishes later. A heavy pot like this is essential when making a roux because of its ability to distribute heat evenly.) With the oil and flour in the cold dutch oven, turn the heat on medium. Whisk the mixture constantly until you notice that it has become nutty (it'll kind of smell like -- gasp! -- fried chicken) and fragrant (both of which happen about five minutes into the process). At this point, turn the heat to low. Keep a close eye on your roux, and whisk the mixture about every minute so no part of the roux burns. Continue in this fashion for about another twenty minutes or until the roux has taken on the color of an old penny. Remove the pot from the heat. Congratulations -- you just made your first roux! Place the tomato, onion, garlic, worcestershire sauce, mustard, liquid smoke, vinegar, Tabasco, soy sauce, thyme, red pepper flakes, paprika, nutmeg and oregano into the work bowl of your food processor. This is quite an unconventional method for making gumbo, but it works beautifully. Blend mixture until smooth. This is your flavoring agent for the whole dish. Now return the dutch oven with the roux still in it to a burner set to medium-high heat, and immediately add the mixture you just made in the food processor. Stir to incorporate. Continue cooking and stirring the resulting mixture until most of the liquid has evaporated, and it resembles a paste. Add the vegetable stock and stir. Once the mixture is heated through, turn the burner to medium-low. Add the okra, red beans, mushrooms, zucchini, green and red peppers, and celery to the pot. Cook uncovered for about 20 minutes until everything is heated through, but not mush. To serve, ladle out some gumbo into a bowl and top with about 1/2 cup of rice, a few green onions, and a sprig of fresh dill. 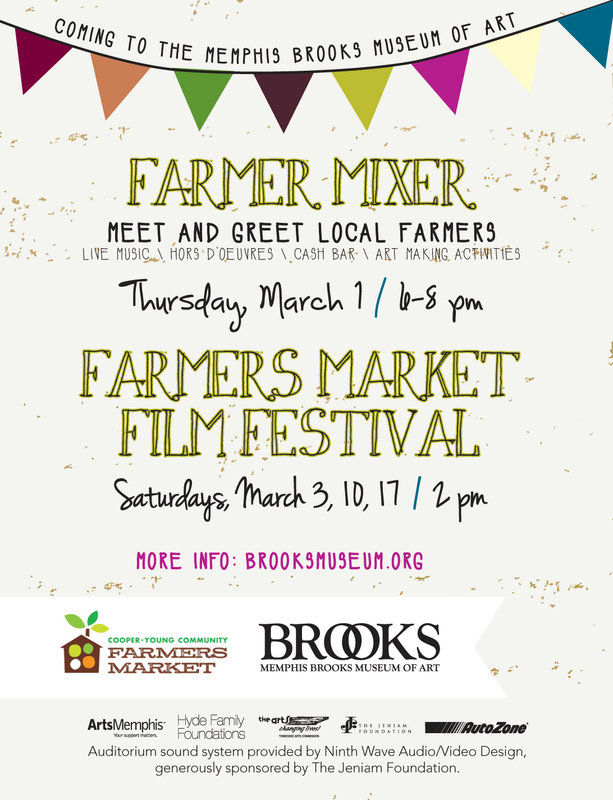 Have plenty of crusty french bread and butter on hand for sopping up the amazing broth. Tip: If you like okra but are not a fan of the sliminess that sometimes can occur with it, sauté the sliced okra in batches in one tablespoon of canola oil until lightly browned. Add the cooked okra to the gumbo. Problem solved. In high school, my buddy Andy and I would go before school to CK's Coffee Shop in Germantown. He'd pick me up in his beat-up, brown Buick at, like, 5:30 in the morning. Depending on our mood, the tape deck would be blaring Toad the Wet Sprocket or Fugazi. We'd sneak cigarettes, drink an entire pot of coffee each, and eat apple pie with cheese on it for breakfast. OMG, how did I ever survive that? I don't even know. Place the all-purpose flour, the whole wheat flout, shortening, and salt into the food processor. Turn it on and allow it to run for a few seconds so the shortening becomes incorporated into the flour. Add the cold water one teaspoon at a time until the dough comes together by forming itself into a ball and rolling around the inside of the work bowl. Wrap in plastic wrap and place in the fridge to rest for 20 minutes. Preheat oven to 375 degrees. Place lemon juice and apples in a large mixing bowl. In a 10-inch skillet over medium-high heat, melt butter and sauté onion until translucent and beginning to brown; this should take about 8 minutes. Add the wine and turn up the heat to medium-high in order to reduce the wine. Once most of the liquid has evaporated, add the onion mixture to the mixing bowl with the apples. Toss in the cheddar, thyme, brown sugar, salt, and pepper. I'm from Mississippi. I was raised in Memphis. 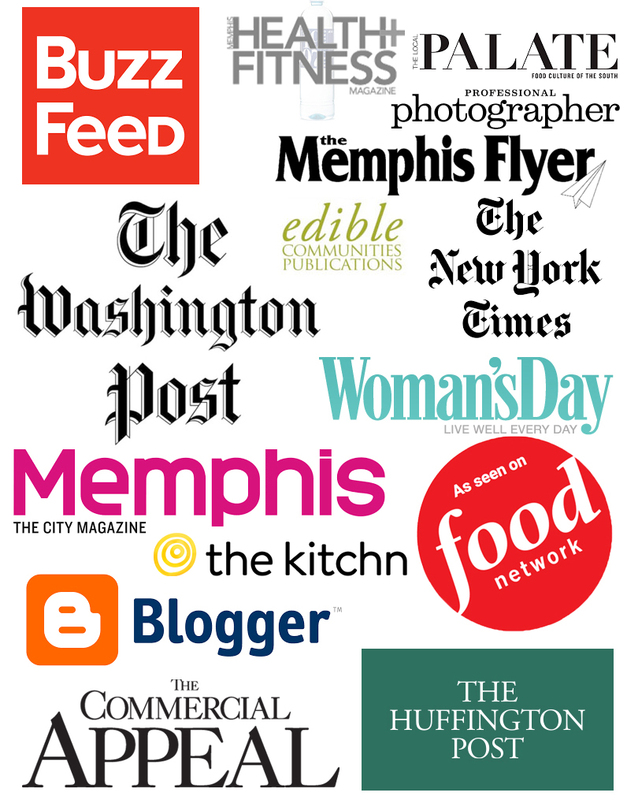 I feel like understand a good deal about our Southern foodways. I really do have some blind spots, though! The Carolinas in particular remain a culinary enigma to me. I get grits, and fried green tomatoes, and greens, and pimento cheese. I didn't, however, understand how it differed until I sat down with my buddy Ryan Trimm, a terrific chef and owner of Sweetgrass, a Carolina Low Country restaurant here in Memphis. He explained Frogmore Stew to me, which incidentally doesn't have frogs in it, nor is it really a stew. The version he serves at Sweetgrass is a stew, but it's not typically a stew. Can you see why I would be confused about such cuisine? So, if those are the things that it's not, then what is it? 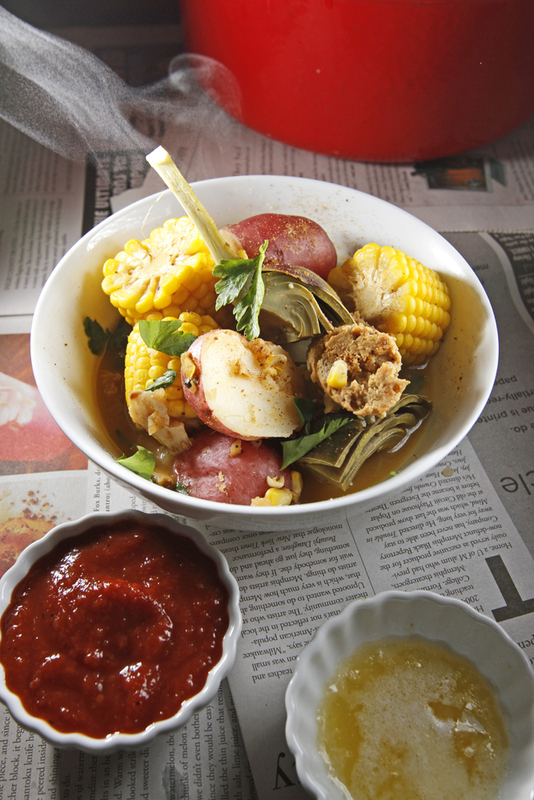 Well, it's basically a shrimp boil with sausage, and the broth is loaded up with Old Bay seasoning. Think of it as a soup that you can eat with your hands. Sounds fun, right? Traditionally, it's served with cocktail sauce, garlic butter, and rolls. This really is a dish meant to feed a crowd. When it's ready, all of the goodies are picked up out of the flavorful broth and dumped onto a table that has been lined with newspaper. Once it's cool enough to touch, just grab what you like and start dipping the corn into the butter or potatoes into the cocktail sauce. It's all very lively and festive. So, what's in a vegetarian version of this mythical dish? I chose to throw in some fresh artichoke hearts and stems, which are fun to eat and work well here. I also threw in some vegetarian sausage, which you don't see me use much, but it works great for this application. In a large stock pot over high heat, pour in the stock, water, and beer. Next, cut the lemon in half, squeeze the juice into the pot, then drop the squeezed lemon into the pot as well. This is a rustic dish. Add the Old Bay seasoning, crushed red pepper, 8 cloves of garlic, liquid smoke, black pepper, and sugar. Check for seasoning and adjust the salt to your taste. It may not need any depending on how salty the vegetable stock was to start. Bring that whole mixture up to a boil. Carefully add the potatoes and cook for about 8 minutes. Add the corn, sausage, and artichokes to the mixture. Cook uncovered for another 10 minutes or until the potatoes are tender. Fish a variety of the components out of the broth and into a bowl. Add just a 1/2 cup of the broth for the steam and aroma. While the stew cools enough to eat, place butter in a microwave-safe dish along with the two reserved garlic cloves. Microwave for 30 seconds to 1 minute until the butter is just melted. Serve your Vegetarian Fromgmore Stew garnished with a light sprinkling of Old Bay and a pinch of fresh parsley with garlic butter and cocktail sauce on the side. No need for a fork -- just use your hands. *For the artichokes: Cut off and discard the top 2/3 of the bulb leaving the whole stem and the bottom 1/3 of the bulb intact. (There is very little meat in the top portion of the vegetable.) Using a spoon, scoop out the choke, the fibrous center part of the vegetable. Using a vegetable peeler, peel the stem to reveal the tender and edible inside part of the stem. Finally, cut a 1/2 inch off the tip of the stem, stand the artichoke up on the bulb-side, and cut into quarters by running your knife through the stem, heart, and remaining leaves. This leaves you with a few leaves to pull off and scrape out when you are eating the stew, but most importantly, it leaves the heart and stem, the most delicious parts. I served a version of this tremendous grits dish at Restaurant Iris during our brunch last June. This dish walks a fine line between sweet and savory and can be served for breakfast, lunch, or dinner. It was definitely one of the crowd favorites at brunch, along with the sweet potato pancakes and pimento cheese stuffed peppers. 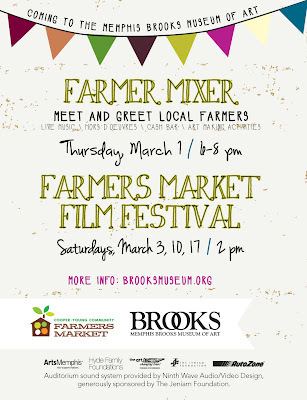 Andrew Adams from the Brushmark and Acre and The Chubby Vegetarian team will be putting together a menu of hors d' oeuvres based on farmers' in-season ingredients. 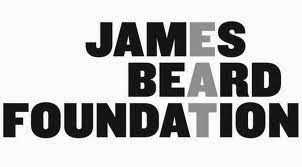 We are so excited to cook with such a talented chef. Rest assured -- there will be plenty of vegetarian options. Melt the butter in a 12-inch frying pan over medium heat. Crack eggs into the pan one at at time. Cover and cook for 5-6 minutes or until the white has set and the yolk is still runny. Divide the grits between 4 bowls. 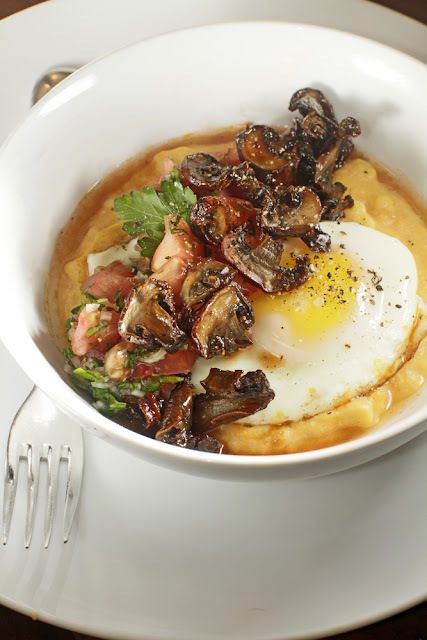 Top each with a fried egg, a sprinkling of the Parsley + Tomato Topping, and finally the bacon-y Maple Mushrooms. Add a touch of cracked black pepper and Maldon sea salt to finish. Bake sweet potato in a 350 degree oven for one hour. Remove and allow to cool. Once cool, the skin should peel right off. Next, slowly bring milk up to a boil in a medium saucepan. Whisk in the grits a little at a time to avoid clumps. Add in the sweet potato and break it up with your whisk. Add the salt, pepper, and butter then lower the heat to medium low. Sir occasionally. Use stock to achieve desired consistency. In a medium mixing bowl, whisk together the maple syrup, canola oil, black pepper, mustard, soy sauce, and liquid smoke. Toss in the sliced mushrooms and allow to marinate for 20 minutes. Preheat your oven to 350 degrees. Drain the marinade off off the mushrooms and arrange in a single layer on a parchment lined baking sheet. Cook for 20-25 minutes or until mushrooms begin to brown and appear dry. Remove from oven and allow to cool. Mix tomato, sugar, salt, pepper, parsley, and shallot together in a bowl. Set aside until ready to use. Oh, the lowly bran muffin: it can be like eating a scrap of kraft paper, or it can make being semi-virtuous really easy and palatable. Adding more bran and using whole wheat pastry flour gave these a deeper, darker depth of flavor than the basic recipes I'm used to following. Put the batter together and store it covered in the fridge overnight; set out your muffin tin, liners, and ice cream scoop before you go to bed, and you can have these warm from the oven on a weekday with very little morningtime effort at all. Preheat oven to 375 degrees. Combine soy milk and bran and let mixture sit for at least 10 minutes. Add vanilla, canola oil, and molasses and stir. In a separate bowl, sift flours, salt, sugars, and baking soda. Combine wet and dry mixtures; add raisins. Stir until just mixed. Use an ice-cream scoop to portion out batter into muffin cups; they can be filled almost to level because they won't rise much. If you want a crunchier top, sprinkle with brown sugar and salt and add a thin slice of margarine to the middle of each muffin before baking. Bake for 30 minutes or until a knife inserted into a tester muffin comes out clean with few crumbs. This is one of our favorite dishes here at The Chubby Vegetarian. This pie gets a double hit of smoke from the mozzarella plus the BBQ sauce, both of which make it super-savory and awesome. As a bonus, there's beer in the crust to add even more flavor. We make pizza for guests all of the time, mainly because I can't think of anyone on this planet who doesn't like pizza. 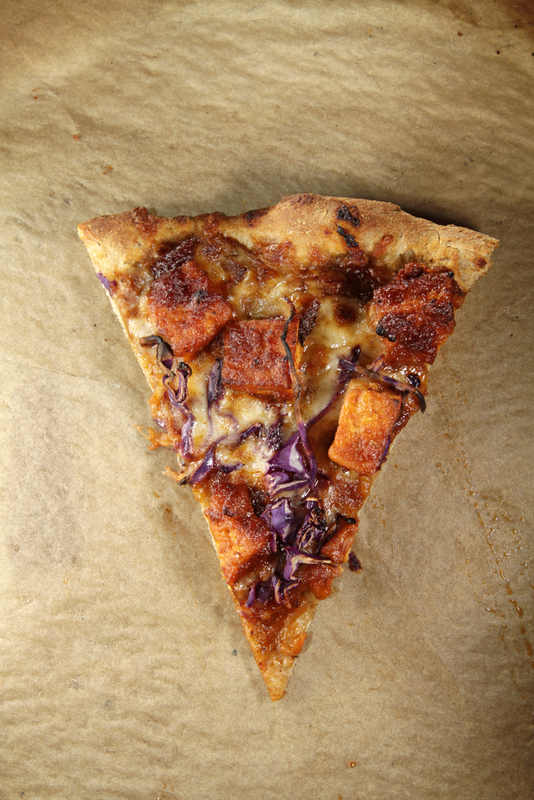 I do get some funny looks when I tell folks that one of the pizzas on the table is BBQ tofu with cabbage. They are quite doubtful. Once they taste this deliciously weird mash-up of Italian and Southern American cuisine, they can understand why it's one of our favorites. There are two shortcuts you could take here if you don't want to make all of this from scratch. Use two store-bought pizza crusts, or better yet, some pre-made pizza dough and a bottle of your favorite smoky BBQ sauce in order to cut down on the time you spend in the kitchen on this one. With a pizza stone in place, preheat your oven to 550 degrees for at least 40 minutes. This will allow the pizza stone to heat up and really crisp the bottom of your pizza. Roll or toss your crust into a 12-inch round. 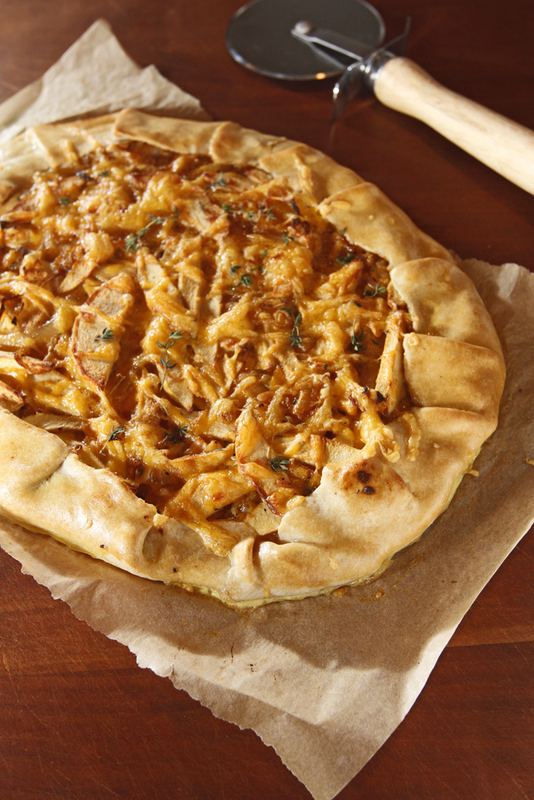 Line your pizza peel with a piece of parchment paper and place the crust onto the peel. Smear 1/2 cup of tomato sauce over the crust. Top that with 1 1/2 cups smoked mozzarella. 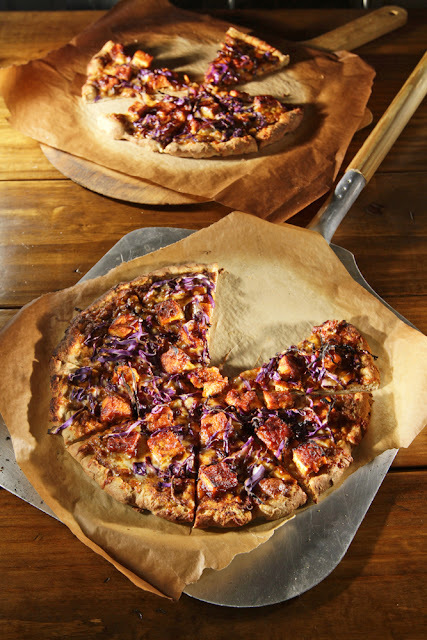 Place about a cup of the Chipotle BBQ Tofu over that and finish with a cup of shredded purple cabbage. Slide pizza with the parchment paper onto the stone. Cook for only 5-7 minutes or until the outer crust is brown and the cheese is bubbly. Repeat the process with the remaining ingredients. Cut tofu into 1/2 inch cubes. Arrange the cubes on a clean dish towel to allow the excess moisture to drain off the surface of the tofu. This will prevent it from sticking to the pan. Heat a 12-inch frying pan over high heat. Once the pan is nice and hot, add the canola oil. When the oil begins to shimmer, carefully add the dried cubes of tofu to the pan. (If you follow this set of instructions, you shouldn't have a problem with the tofu sticking to the pan. It's all about dry tofu and a hot, hot pan.) Cook tofu for three minutes on one side and turn using a spatula. Cook for three minutes on the other side. Turn the heat off and add the BBQ sauce. Move the mixture constantly around the pan so that the sugar in the sauce doesn't scorch. Once the sauce is thick and has adhered to the tofu, set BBQ tofu aside in a medium bowl. Try to save some for the pizza. I overdo it, I know. There are SO MANY recipes for cookies on the blog. But I love them! Just humor me and go ahead and put these in a new category: they're cocktail cookies, not too sweet, and they're meant to accompany a drink or maybe a nice glass of Cotes du Rhone. So, why not treat these like crackers and eat them with cheese? An aged manchego or an aged brie will do the trick. I added some hazelnut oil we had on hand and am liking that kind of savoriness for an extra layer of flavor in baking. (Almond oil has that effect, too.) These are a good mix of salty and sweet. Note that I leave the skins of the hazelnuts on -- they add to the savory effect. The idea for cocktail cookies, such as my favorite apricot-tarragon ones, seems to have been dreamt up by the lovely Dorie Greenspan. I highly recommend her recipe, which I linked to above. The combination tastes like nothing I've had before, and everyone who's tried them is at first wary but then completely surprised to fall in love with them. Preheat your oven to 350 degrees. Toast the hazelnuts for thirty seconds in the microwave. Jiggle them and toast them again for 30 seconds. Repeat more time, and set aside. At this point, preheat the oven to 350 degrees. Next, whisk the flour, salt, and baking powder together and set aside. Cream the oil, butter, cream, and sugars. Add egg and vanillas and combine. Combine the dry and wet ingredients and mix. Add hazelnuts and stir them into the batter. Portion cookie dough out into one-inch mounds with a small ice cream scoop or spoon. Place these onto a Silpat-lined baking sheet. Before baking, sprinkle cookies with a pinch of Maldon salt and smash them slightly with the palm of your hand to flatten. Bake for 10-12 minutes at 350 degrees until they are golden brown. Yes, this is rich, but who wants to eat low fat mac n' cheese? Not me! I'd rather just have a reasonable portion of the good stuff, and this is the good stuff. 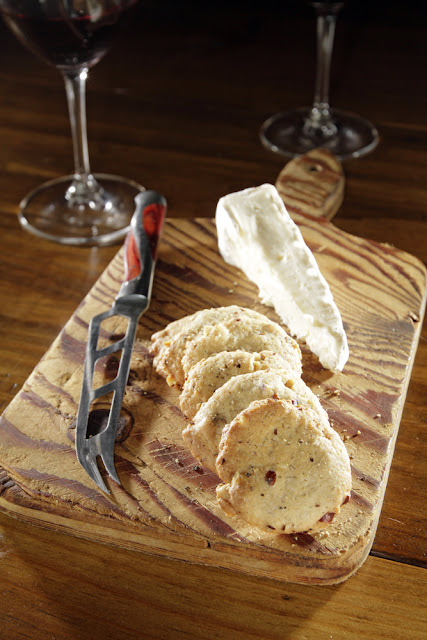 The brie is creamy while the cheddar adds a bit of texture. The black truffle oil, available at most specialty grocery stores, is the thing that sends this dish into the atmosphere. Plus, if you serve it with steamed broccoli, you can feel good that you ate your veggies. Right? Preheat your oven to 350 degrees. Bring 4 quarts of water and 1/8 cup salt up to a boil in a large soup pot. Add the rigatoni and cook according to package instructions. While the pasta is cooking, melt butter in a 12-inch pan over medium heat. Add the olive oil, flour, nutmeg, garlic powder, crushed red pepper, and black pepper, and then whisk it constantly, cooking until nutty and fragrant (about 3 minutes). Slowly add the milk as you whisk to work out any lumps. Turn up the heat to medium-high while continuing to whisk until milk comes to a low boil and begins to thicken slightly (this could take about eight minutes). Reduce heat and slowly add 4 ounces of the cheddar and the brie to the milk mixture. Whisk until all of the cheese has melted into the sauce. Add the lemon zest. Temper the egg yolks by whisking two tablespoons of the cheese sauce into them then add the egg yolks to the mixture. Using a slotted spoon or spider, remove pasta from the water directly into the pan with the cheese sauce. Gently fold the noodles into the sauce as not to break them. 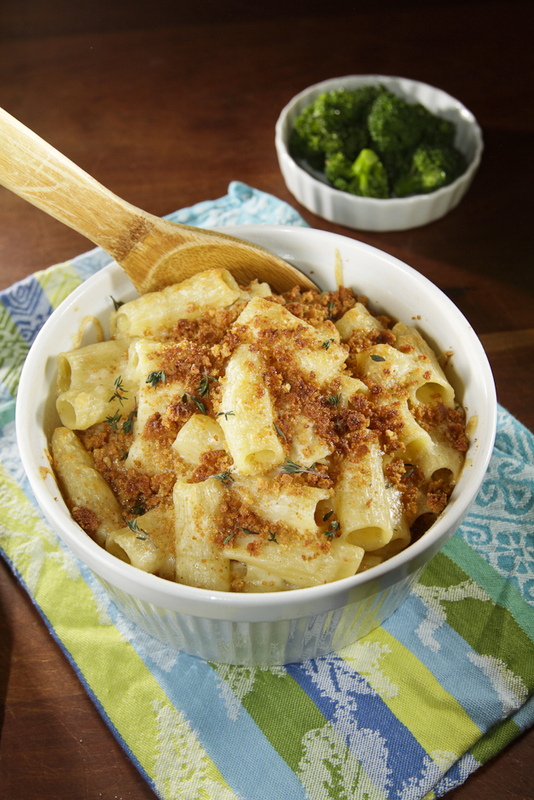 Pour pasta mixture into a seven-inch soufflé dish, top with the remaining cheddar, and bake for 10 minutes. Add the bread crumbs and drizzle the truffle oil over the top of the whole thing. Bake another ten to fifteen minutes or until the breadcrumbs are golden. Garnish with thyme leaves. 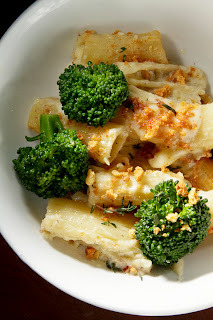 Serve with steamed broccoli to make it a meal. I love it when people share cooking tips that they use every day in their own kitchens. I find myself compelled to try it myself every time. When we lived in the crazy apartment building in Midtown, Vicky, the usual checker at the grocery store next door, shared this tip with us: whenever you are making greens, drizzle a little local honey in the pot. It'll take away any lingering bitterness. It worked perfectly the very first time. Now we've been making greens with a little drizzle of honey for more than 10 years. 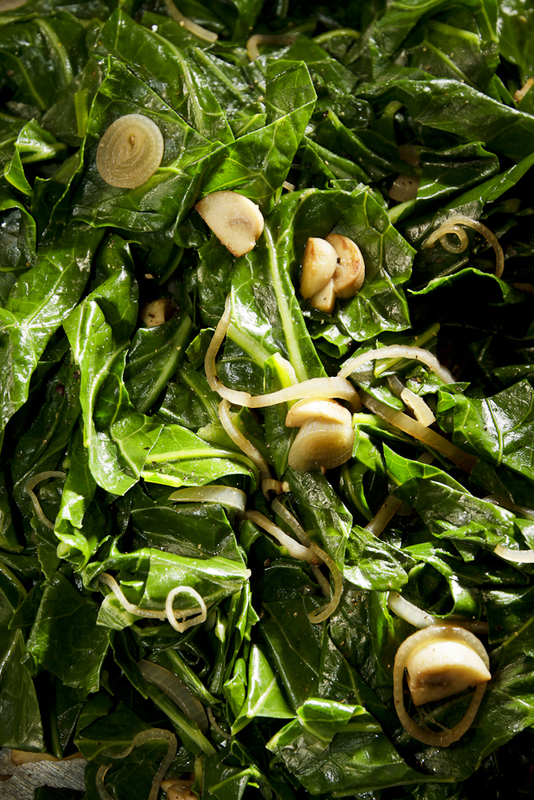 This recipe calls for collard greens, but you could use any hearty greens you want. In fact, I think I like using a mix of kale, mustard, and collards best. Unlike many Southerners, we don't cook our greens until they are mush. This way they are vibrant, tasty, and healthy for you. In a large soup pot, bring the water and salt up to a boil. Using a paring knife, trim the leaves of the greens away from the tough stems. Simply run your knife along the stem. Roll leaves and trim into half-inch ribbons. It should yield 6-8 cups of leaves once the greens are trimmed and sliced. Blanch leaves in salt water for one to two minutes or until the leaves turn bright green. Remove leaves from water and place into a colander to drain. Carefully discard water down the drain; run a little cold water while you pour the hot water out so you don't tax or even damage your plumbing. Return the pot to the burner. Over high heat, add the canola oil and then the mushrooms in a single layer in the bottom of the pan. Allow the mushrooms to cook undisturbed for 2-3 minutes or until they get some color on them. Turn the heat to low. Add the shallot, pepper, smoked salt, and garlic powder. Sauté until fragrant (about a minute). Add the collard greens and a drizzle of honey. Toss greens with tongs to incorporate all ingredients. Cover and keep warm over very low heat until they're ready to serve. 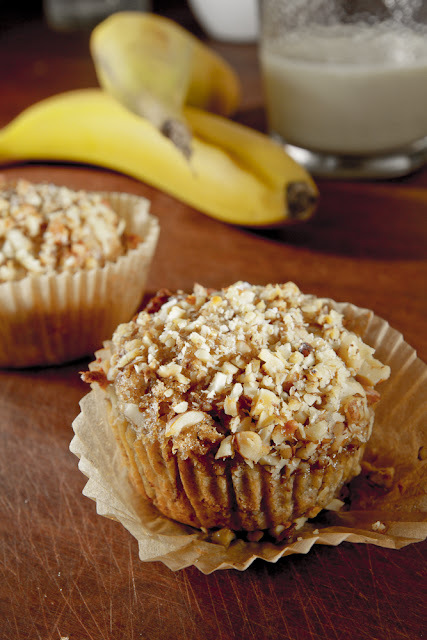 I wanted a banana muffin recipe that was really far away from dry and fairly basic to put together. The center of these muffins resembles bread pudding partly because of the higher ratio of banana used. I kept the recipe pretty plain and simple, but of course, then had to think of some ways to complicate the issue (see below for tips) next time. 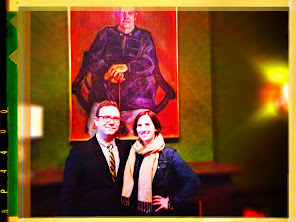 Happy 2012, y'all! We hope you have time for a leisurely breakfast today as well as some rose-float-watching tomorrow. If You Care unbleached baking cups. 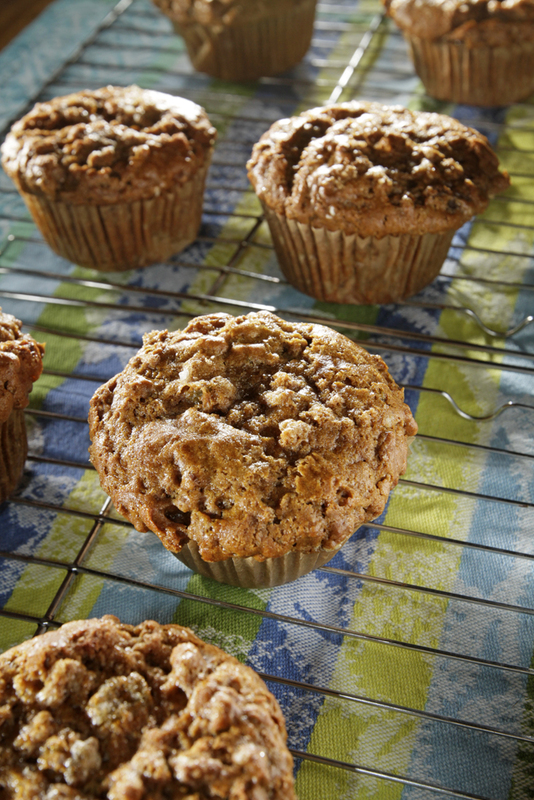 Bake muffins for 30-40 minutes until tops are crisp and lightly browned. Be sure to let them cool for at least 15 minutes before you eat them because they are actually better that way. - Add chopped chocolate-covered pecans. - Mix finely chopped walnuts, brown sugar, and a little sea salt for a crunchy topping. - Before baking, top with a little butter for a crispy top. - Reserve 1/3 of the batter, add 1/4 cup cocoa powder to it, and marbleize by adding it on top of the regular batter and running a knife around it to swirl. - Top with shaved coconut and add a teaspoon of coconut extract to the batter. - Add 1/3 cup peanut butter to the batter and whisk a little warm peanut butter, powdered sugar, and cream for a glaze for finished bread or muffins. - Add 1/2 cup almond butter to the batter and mix sliced almonds, brown sugar, and smoked salt for a topping.